If you’ve been following along, you know my mom is being her awesome self, and making all my flowers from paper. And they’re super gorgeous, but paper flowers are not for everyone. Real flowers are always going to be the favored option among brides, so I thought I’d help my real flower brides save money and pick out some awesome flowers for your wedding! 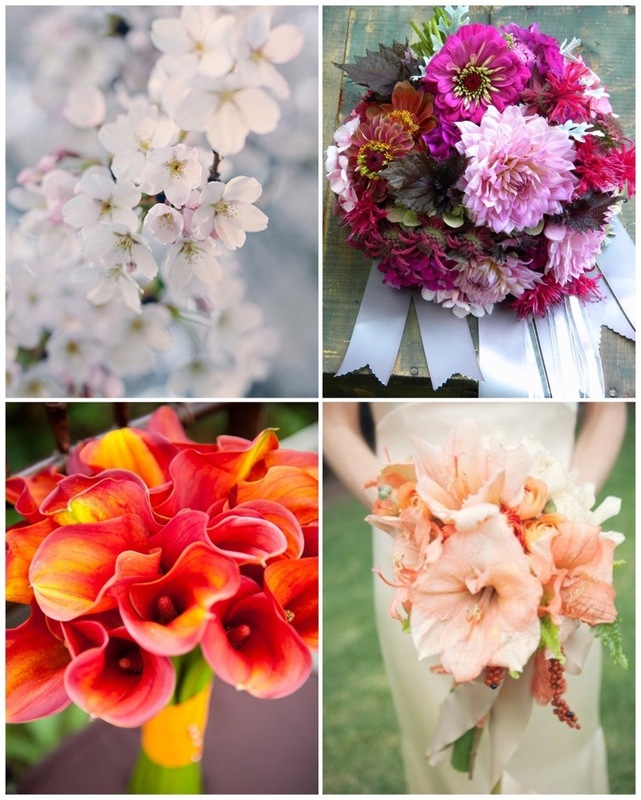 Calla lilies, Zinnias, the Dahlia, and the Amaryllis make gorgeous bouquet flowers. Cherry blossoms definitely make stunning center pieces! These are just a few of the options because spring (of course) is the blooming time for most flowers. 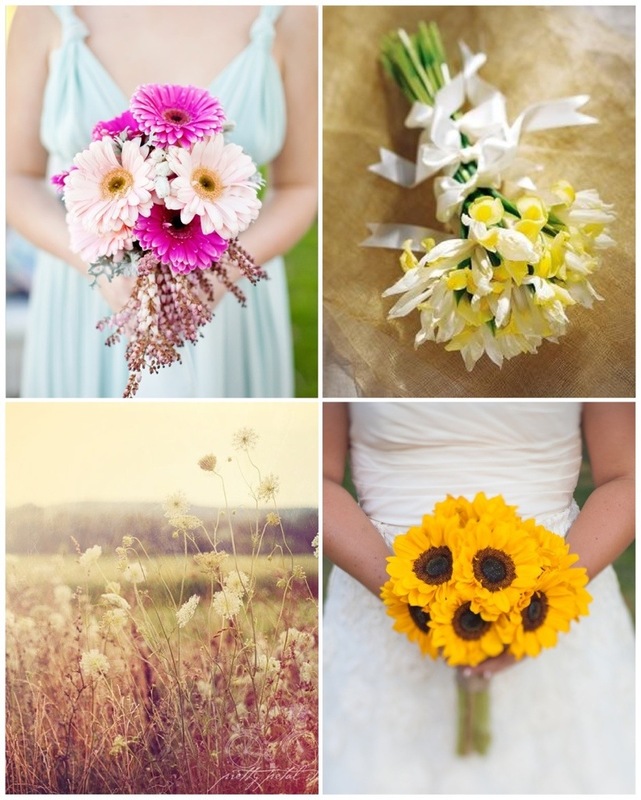 If you want lots of different flowers, have a spring wedding. It could be the reason why most weddings are in June, late spring early summer allows for warm weather and gorgeous flowers! I saw Kangaroo Paw and had to go find pictures of it! It’s a really cool looking flower, that would be great in boutineers! 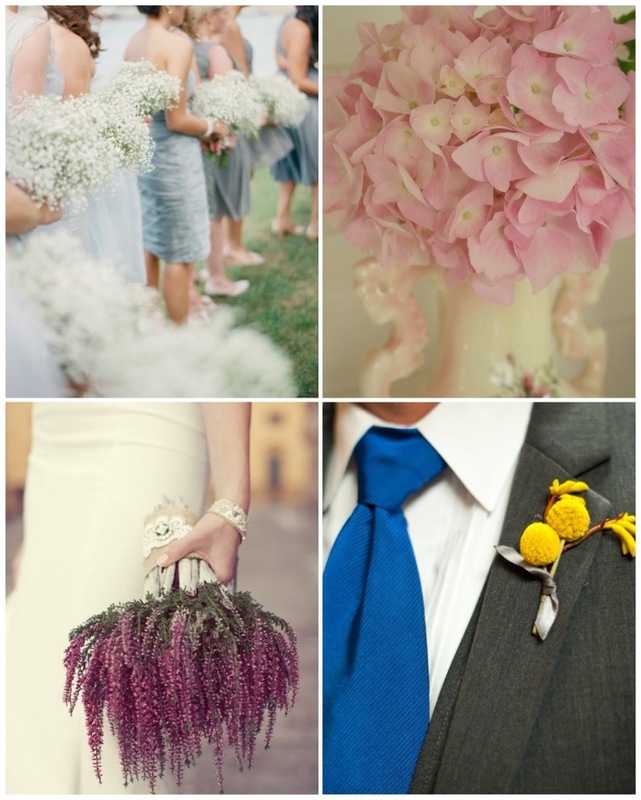 Hydrangea can look beautiful in any part of a wedding because it’s such a full flower. Heather has a great “wild” look. My favorite flower here is Baby’s Breath. People use it as an accent a lot, but it looks gorgeous as a stand alone flower! My favorite flower is in this bunch! I love the Gerbera Daisies! They come in so many colors and they are just so big and fun! Speaking of big flowers, Sunflowers are a great fall flower. You can always tell the end of summer when the Sunflowers bloom. Irises make great bouquets and are another flower with a wide variety of colors. Queen Anne’s lace is everywhere, and I think it may even be considered a weed. It’s another great example of a rustic wildflower look! 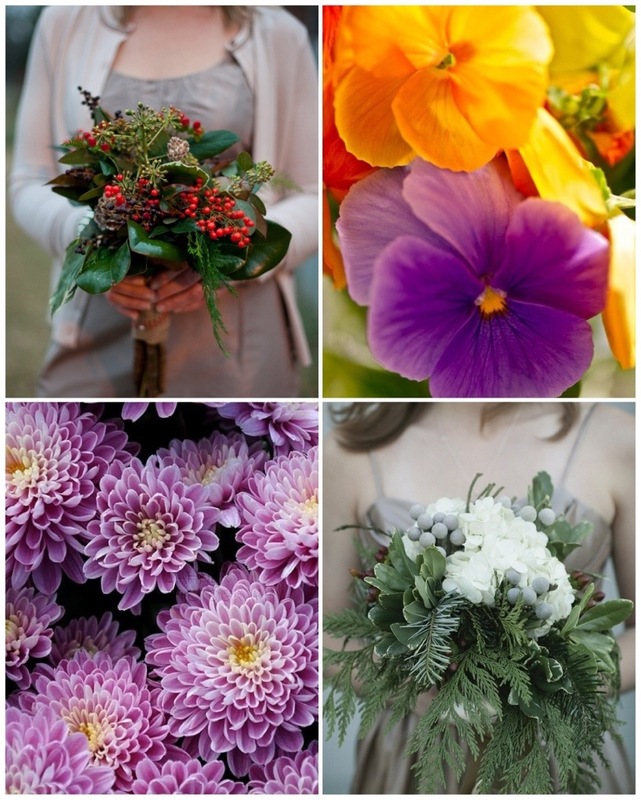 Winter may be sparse when it comes to flowers, but that doesn’t mean you can’t have gorgeous greenery! Holly berries and different evergreens look great in bouquets. I’d be curious to know if using only evergreens is cheaper than regular flowers. Any thoughts? If its the beginning of winter you can sneak in some mums and pansies too! I hope this helps categorize what’s in season for you! Enjoy picking out your flowers! And get yourself something special, order your bouquet in whatever flower you want!